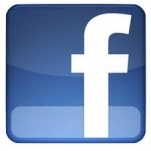 Do you have a facebook fan page and want to take advanage of your audience with a Facebook Store? With this add on feature you can sell your products right on facebook. - Product Page which includes details about your products attributes, related products, images, etc. In order to sell products on facebook and for it to work with your drop ship vendors you need to be an authorized dealer of RSR Group or AcuSport . Please contact us to add other drop ship vendors. You will also need a website account that is hosted with us or one that we are going to create for you. This is what we hear.... Amaizing, Order yours today and allow upto 5 days before your ..